Shin Iguchi is our first Japanese marcher! He decided to join us on the very last part of European march, on the Greek island, Samos. We asked Shin Iguchi, why did he join the March? “I could never collect the right information about refugees through CNN, BBC and all those politically controlled news medias. 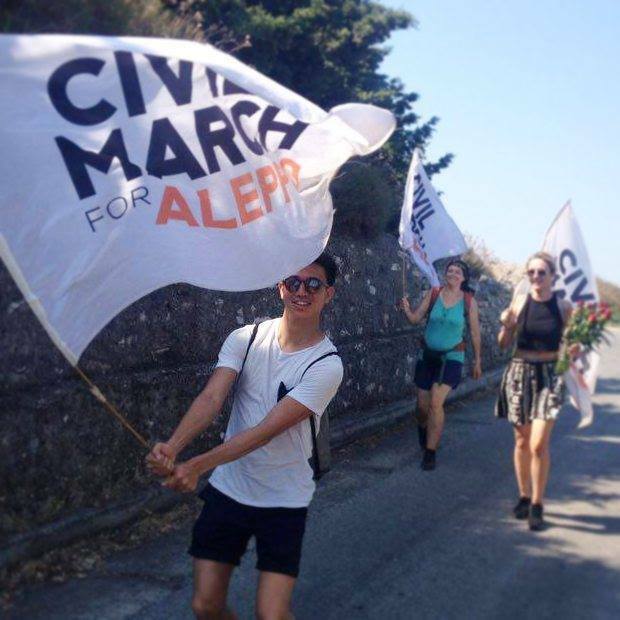 So I joined Civil March for Aleppo and see the “truth”, to decide about my next actions”. Japanese is… already 60th nationality on #CivilMarchForAleppo. Who would ever expected such a diversity?! 60 nationalities, 3500 marchers, 3500 different reasons and motivations. Each one is good to take an action!